Castle Clinic - award winners! If you are a therapist from Knaresborough, Harrogate, Wetherby, Ripon or Thirsk, why not explore taking a room at Castle Clinic? Our busy therapy practice needs a couple more therapists working one or more days a week. Already established and want to spread your wings? We can help! We offer well equipped, quiet rooms in a newly refurbished building, under new management. Maybe this is the opportunity you have been waitng for. You are welcome to phone, email or call in and see for yourself. What if you are working from home at present? or working just part-time? - why not take a step forward and start working from quiet convenient rooms, near the centre of Knaresborough? We can help you build up your therapy practice. Our busy web site helps attract new clients, our Receptionist handles all the phone messages, books in the clients and deals with much of the admin. work for you. Oh.... and you also get your own page on our busy web site to help you reach out into the internet. 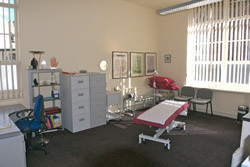 Several therapists have joined us recently, so we can now offer an even wider range of therapies at our busy practice. Please look at the therapists' own pages on this web site to see more details of their experience, qualifications and the services they offer. We have seen a rise in the number of clients seeking relief from sports injuries and Ole Gilliksen joined us recently, adding to our busy Osteopathy team. Shelagh Taggart joined our team offering McTimony Chiropractic and Remedial Massage. Mike Stephenson recently celebrated 25 years of experience in practising acopuncture and is able to offer this wealth of experience in the treatment of a wide range of physical and emotional conditions. You can read more about Mike's therapy and the medical conditions where acupuncture has been successfully used on this page. Another accolade for Castle Clinic at the Plush Awards Ceremony, as a result of votes received from our many satisfied clients throughout the district. 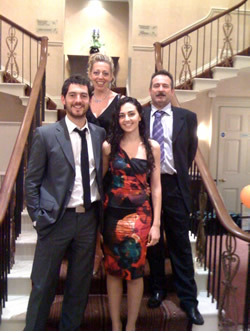 Sarah (top) represented Castle Clinic at the prestigious Plush Awards ceremony, held at Rudding Park Hotel, in Harrogate. Sarah Chisem recently qualified in podiatry from the University of Huddersfield with a BSc(Hons) in Podiatry. During the course studying for her degree, Sarah gained experience through placements, within specialised clinics such as Diabetes and Rheumatology. She also spent time at Harrogate Hospital Trust working alongside Specialist Podiatrists. Sarah's area of interest lies within Sports injuries fuelled by her passion for running.